The British & Irish Boxing Authority (BIBA) are set to introduce hand held Infra-Scanners, that can detect Brain bleeds, at events sanctioned by themselves in the United Kingdom and Republic of Ireland. Sky News’ Health & Science Correspondent, Thomas Moore, highlighted the benefits of the use of the Infra-Scanners, that can detect brain bleeds with an accuracy of 90%, often before any symptoms such as headaches or confusion become apparent, following the death of Mike Towell last year at an event sanctioned by the British Boxing Board of Control (BBBofC). On announcing the introduction of Infra-Scanners, that will be available ringside at events sanctioned by them, BIBA Vice President Gianluca Di Caro said. “Following two major head injury incidents last year, one that resulted in the death of Mike Towell, even though neither were on events sanctioned by ourselves, the BIBA board had decided to actively seek solutions regarding improving the way that injuries such as these can be detected as quickly as possible. The first move we made was to appoint renowned forensic sports scientist Professor Michael Graham PhD to our Ringside Medical Officer & Medical Advisory Board. Professor Graham and his esteemed team are currently researching the short-term and long-term effects of head injuries in Rugby as well as preparing, in conjunction with ourselves and a prestigious UK University, a long term research project to assess cognitive function following brain trauma. 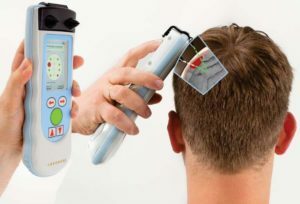 Around the time of the appointment of Professor Graham, our CMO, Dr. Louise Eccles, proposed that we should investigate obtaining Infra-Scanners, as the use of these would massively assist in detecting problems such as a bleed on the brain quickly, especially as there is only a limited amount of time to assess the location of such an injury. Following Louise’s advice, I contacted the manufacturers and am extremely proud to say that the initial trial unit will arrive later this month, hopefully in time for the 26th February event in Bradford, that features two ten round International contests. We have initially ordered two Infra-Scanners which will be operated by Professor Graham and Dr Eccles at our events, and are aiming to order a further eight units over the coming twelve months, so that every BIBA Ringside Doctor will have an Infra-Scanner available by 2018. Both the appointment of Professor Graham and the introduction of Infra-Scanners, are just two pro-active decisions made by ourselves with regard to Boxer Health & Safety, there are more to come, as Professor Graham and another of our Ringside Medical Officer & Medical Advisory Board, Dr Mark Xuereb have also proposed the introduction of further safety measures, one of which is the introduction of Cognitive Testing, which will come into force very soon. ← Up Close and Personal with Two Division World Champion Tasif Khan.